Anthony Yamashita was born on 9 April 1959. He was the son of Fred H. Yamashita and Addie G. Gold. Anthony Yamashita died on 19 December 2002 at age 43. John Wartzok was born on 19 April 1869 at Germany. He married Emma Mellenthin, daughter of Carl Friedrich Mellenthin and Anna Trueb, on 22 November 1898. John Wartzok died on 24 February 1940 at Sauk, Wisconsin, at age 70. Orrin C. Sprecher was born on 23 November 1903 at Wisconsin. He was the son of George Fred Sprecher and Louise Ida Schultze. Orrin C. Sprecher married Evelyn Jennie Zick, daughter of William Christian Zick and Ida Augusta Klipstein, circa 1927. Orrin C. Sprecher died on 6 April 1961 at Wisconsin at age 57. Married Name April 1954 As of April 1954,her married name was Fingerhuth. Neva Jane Sprecher was born on 25 August 1933 at Wisconsin. She was the daughter of Orrin C. Sprecher and Evelyn Jennie Zick. Neva Jane Sprecher married Wayne Roy Fingerhuth in April 1954. Neva Jane Sprecher died on 9 September 1994 at Wisconsin at age 61. Wayne Roy Fingerhuth was born on 18 June 1932. He married Neva Jane Sprecher, daughter of Orrin C. Sprecher and Evelyn Jennie Zick, in April 1954. Wayne Roy Fingerhuth died on 17 February 2011 at age 78 Wayne R. Fingerhuth, age 78, of Black Hawk, died on Thursday, Feb. 17, 2011 at his home where he had lived his entire life. He was born on June 18, 1932 to Roy and Bernice (Schiess) Fingerhuth. He attended Prairie du Sac High School. Wayne was U.S. Air Force veteran, having served from 1951 to 1955. He was stationed in Alaska for 13 months and later in Rapid City for over 2 years. He was united in marriage to Neva Sprecher in April of 1954. They farmed on the homestead farm in Troy Township. He was an active member of Bethlehem United Methodist Church in Black Hawk, where he served as a Sunday School teacher for years, Youth Leader, and was a Lay Speaker. Throughout his life he guided and advised many people in his humble manner. He is survived by his sister-in-law and brother-in-law, Nyla (Sprecher) and Wilbur Luetscher; a niece, Peggy (Bruce) Romenesko; 2 nephews, Dale (Vickie) and Dwight (Laurie) Luetscher; and 9 great nieces and nephews. He was preceded in death by his parents; and his wife, Neva, in 1994. A memorial service will be held at Bethlehem United Methodist Church, Black Hawk, at 2 p.m. on Saturday, March 12, 2011, with Pastor Kendall Schlittler officiating. Friends may call from 1 p.m. until the time of service at the church. Interment will be in Black Hawk Cemetery. In lieu of flowers, memorials may be made to Bethlehem United Methodist Church, Black Hawk. Married Name 1927 As of 1927,her married name was Litscher. Married Name 5 December 1957 As of 5 December 1957,her married name was Dresen. Mabel L. Sprecher was born on 26 May 1909 at Wisconsin. She was the daughter of George Fred Sprecher and Louise Ida Schultze. Mabel L. Sprecher married Clarence Litscher in 1927. Mabel L. Sprecher married Nestor F. Dresen on 5 December 1957. Mabel L. Sprecher died on 14 October 2000 at Wisconsin at age 91. Clarence Litscher was born in 1905 at Wisconsin. He married Mabel L. Sprecher, daughter of George Fred Sprecher and Louise Ida Schultze, in 1927. Clarence Litscher died in 1956 at Wisconsin. Lorin C. Litscher was born on 9 November 1929 at Wisconsin. He was the son of Clarence Litscher and Mabel L. Sprecher. Lorin C. Litscher died on 29 December 1976 at Wisconsin at age 47. Nestor F. Dresen was born on 3 June 1902 at Wisconsin. He married Mabel L. Sprecher, daughter of George Fred Sprecher and Louise Ida Schultze, on 5 December 1957. Nestor F. Dresen died on 29 May 1974 at Wisconsin at age 71. Name Variation Marie Ellen Reese was also known as Mary Ellen. Married Name 26 December 1879 As of 26 December 1879,her married name was DeCamp. Marie Ellen Reese was born on 9 April 1863 at Indiana. She was the daughter of James Reese and Rachell Pursell. 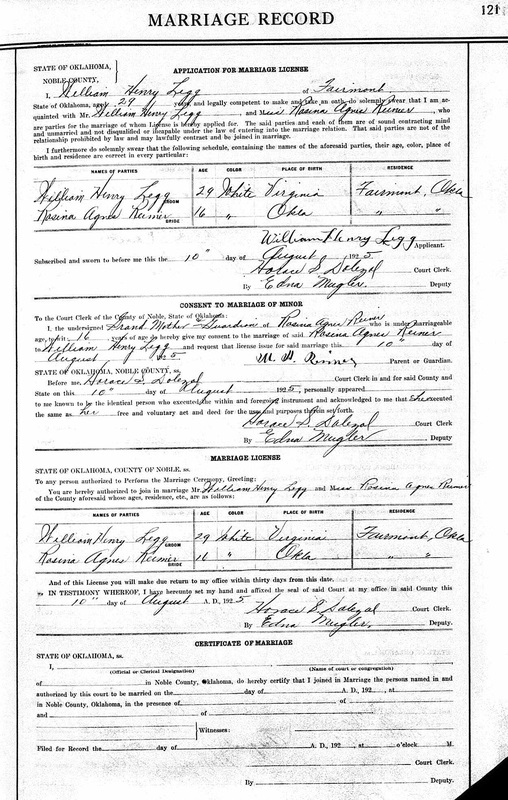 Marie Ellen Reese married Warren Thadius DeCamp, son of Emmett Woodson DeCamp and Margaret Basler, on 26 December 1879. Marie Ellen Reese died on 3 February 1949 at age 85. [S244] U.S. Federal Census 1910 U.S. Federal Census, by Ancestry.com, Year: 1910; Census Place: Adams, Dallas, Iowa; Roll: T624_399; Page: 6B; Enumeration District: 0001; Image: 505; FHL Number: 1374412. James Reese was born at Indiana. Married Name Her married name was Reese. Rachell Pursell married James Reese. Rachell Pursell was born at Indiana. Name Variation Milford G. DeCamp was also known as Millford. Milford G. DeCamp was born circa 1908 at Iowa. He was the son of Warren Thadius DeCamp and Marie Ellen Reese. Married Name before 1925 As of before 1925,her married name was Sheets. Married Name before 1951 As of before 1951,her married name was Cox. Orpha Lee DeCamp was born on 28 February 1904 at Iowa. She was the daughter of Warren Thadius DeCamp and Marie Ellen Reese. Orpha Lee DeCamp married (?) Sheets before 1925. Orpha Lee DeCamp died on 23 July 1983 at Los Angeles, California, at age 79. (?) 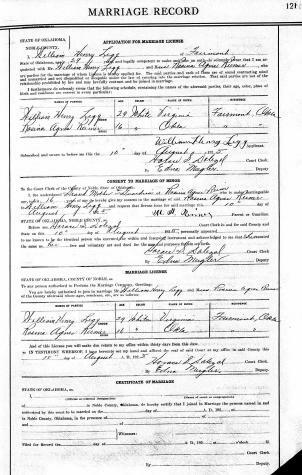 Sheets married Orpha Lee DeCamp, daughter of Warren Thadius DeCamp and Marie Ellen Reese, before 1925. Name Variation Orvel Ondis DeCamp was also known as Orval. Orvel Ondis DeCamp was born on 6 February 1882. Orvel Ondis DeCamp married Violet Merchant on 17 June 1907. Orvel Ondis DeCamp died on 25 July 1947 at age 65. Married Name Her married name was Doerr. Ethel DeCamp was the daughter of Warren Thadius DeCamp and Marie Ellen Reese. Ethel DeCamp married C. F. Doerr. C. F. Doerr married Ethel DeCamp, daughter of Warren Thadius DeCamp and Marie Ellen Reese. Name Variation Leone Elden DeCamp was also known as Pete. Name Variation Leone Elden DeCamp was also known as L. E.
Leone Elden DeCamp married Minnie Beatrice Steel. Leone Elden DeCamp was born on 15 January 1891. Leone Elden DeCamp married Ruth J. Frederick in 1919. Leone Elden DeCamp died on 11 January 1951 at age 59 Leone Elden DeCamp (Pete as he was commonly known), child of Warren and Mary Ellen Reese DeCamp was born on January 15, 1891 in Dallas County, Iowa. He was one of a family of Thirteen children. He has lived in this vicinity all of his life. He was united in marriage to Ruth Frederick in 1919. As a youth he was baptized at the Panther Creek church. He loved his home and was quite a homebody, enjoying his family tremendously. The youngest grandchild was his pride and joy. He has been employed at the local Brick and Tile factory for thirty-five years. He has been plant superintendent there for 28 years. He also served his community on the Town Council for a six year period of time. He had not been in good health for some time. Several months ago this condition became more serious and eventually an operation was indicated. Despite all the efforts of medical science and the ministrations of loving hands he passed away on January 11, 1951 at Iowa Methodist hospital in Des Moines. Surviving to mourn his passing are his widow, the three children, Mrs. Lowell Dehart of Omaha, Nebraska; Mrs. John Astley of Adel, Iowa and Clifford DeCamp of Fort Des Moines and seven grandchildren; two sisters Mrs. Ethel Doerr and Mrs. Orpha Cox and one brother, Milford DeCamp, all of St. Louis, Mo. His going leaves a lonesome place in so many lives. The community will miss him. Married Name Her married name was Coulter. Rachel DeCamp married C. W. Coulter. Rachel DeCamp was born circa 1899 at Iowa. Rachel DeCamp died before 1951. C. W. Coulter married Rachel DeCamp, daughter of Warren Thadius DeCamp and Marie Ellen Reese. (?) Bennetson married Annice M. DeCamp, daughter of Emmett Woodson DeCamp and Ann Eliza Howe. Walter Edgar Welch Sr. was born on 14 December 1883 at Missouri. He married Hetta May DeCamp, daughter of Emmett Woodson DeCamp and Ann Eliza Howe, on 21 August 1907 at first marriage for him; second for her, Missouri. Walter Edgar Welch Sr. and Hetta May DeCamp were divorced before 1925. [S244] U.S. Federal Census 1910 U.S. Federal Census, by Ancestry.com, Year: 1910; Census Place: Lebanon Ward 4, Laclede, Missouri; Roll: T624_793; Page: 23B; Enumeration District: 0044; Image: 1086; FHL Number: 1374806. Walter E. Reddick was born on 22 December 1869 at Indiana. He married Cora B. (?) circa 1902. Walter E. Reddick died on 10 December 1963 at Kansas at age 93. [S244] U.S. Federal Census 1910 U.S. Federal Census, by Ancestry.com, Year: 1910; Census Place: Union Center, Elk, Kansas; Roll: T624_439; Page: 7B; Enumeration District: 0125; Image: 211; FHL Number: 1374452. Married Name circa 1902 As of circa 1902,her married name was Reddick. Cora B. (?) was born on 9 February 1879 at Missouri. She married Walter E. Reddick circa 1902. Cora B. (?) died on 1 May 1962 at age 83. Cora B. (?) had 1 with 1 living in 1910 children. William Henry Legg was born on 15 April 1894 at West Virginia. He married Rosina Agnes Margaret Reimer, daughter of Laura Bertha Reimer, on 10 August 1925 at Noble, Oklahoma, her grandmother Mary A. Reimer provided consent for Rosina to marry, since she was only 16 years old. William Henry Legg died on 1 August 1975 at Oklahoma at age 81. [S373] U.S. Federal Census 1940 U.S. Federal Census, by Ancestry.com, Year: 1940; Census Place: Breckenridge, Garfield, Oklahoma; Roll: m-t0627-03292; Page: 1A; Enumeration District: 24-5. Married Name Her married name was Seals. Married Name Her married name was Hernandez. Edna Mae Legg married Francis Vincent Hernandez. Edna Mae Legg married Henry Alexander Seals at 2nd marriage for her. Edna Mae Legg was born on 16 May 1926 at Oklahoma. She was the daughter of William Henry Legg and Rosina Agnes Margaret Reimer. Edna Mae Legg died on 6 January 1994 at Oklahoma at age 67. Francis Vincent Hernandez married Edna Mae Legg, daughter of William Henry Legg and Rosina Agnes Margaret Reimer. Francis Vincent Hernandez was born on 13 September 1920. He died on 2 February 1989 at Kansas at age 68. Henry Alexander Seals married Edna Mae Legg, daughter of William Henry Legg and Rosina Agnes Margaret Reimer, at 2nd marriage for her. Henry Alexander Seals was born on 21 April 1932 at Oklahoma. He died on 12 December 2005 at Oklahoma at age 73. Married Name 1 June 1926 As of 1 June 1926,her married name was Bechen. Rose Agnes Novotny was born in 1900 at South Dakota. She married Vincent Joseph Bechen, son of Nicholas Bechen and Nellie F. O'Rourke, on 1 June 1926 at Lake Andes, Charles Mix, South Dakota. Rose Agnes Novotny died in 1978. [S373] U.S. Federal Census 1940 U.S. Federal Census, by Ancestry.com, Year: 1940; Census Place: Howard, Charles Mix, South Dakota; Roll: T627_3851; Page: 3A; Enumeration District: 12-12.